Deviously simple but delicious way to have a *light* steak meal. Very low carb. Recipe adapted from Trader Joe’s. Season steak with salt, pepper and oregano, then grill or broil until rare, 2-3 minutes per side. Rest steak 5 minutes, then thinly slice. Toss the meat and meat juices with the arugula, then drizzle with oilive oil and vinegar and toss again. Serve topped with shaved cheese and additional black pepper, if desired. 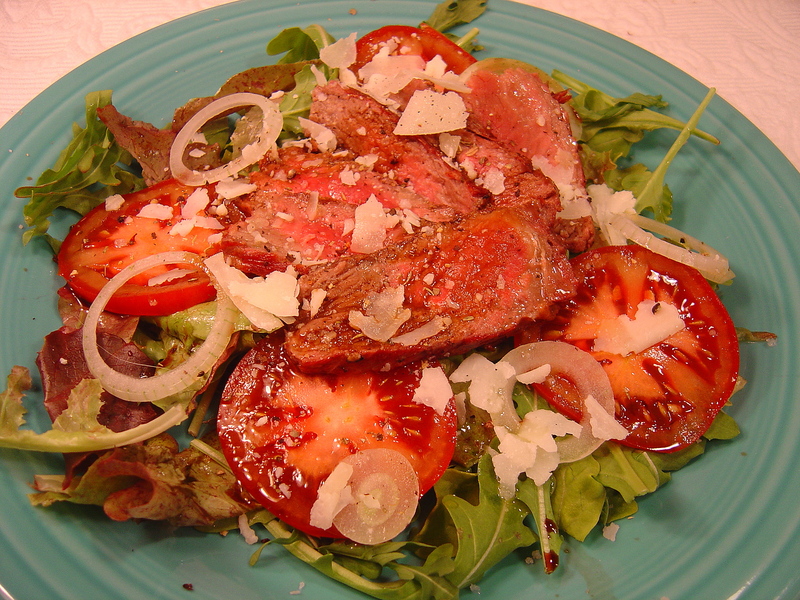 Your Italian Steak and Arugula Salad are a great meal to have on our tour of Italy with Foods of The World. I can’t wait to try this steak it looks fantastic! Hope to see you next month when we go to Ireland.